Who said inflatable bouncy castles are just for kids? Adults know how to jump up and down, too! If you’re looking for a unique way to celebrate your next event, then our Party Party inflatable castle is the right way to go. Get loose and unwind with friends like you haven’t done in years. Spend hours playing like children and you’ll find that yourself feeling like a child again! Of course, kids are welcome, too, but why let them have all the fun? 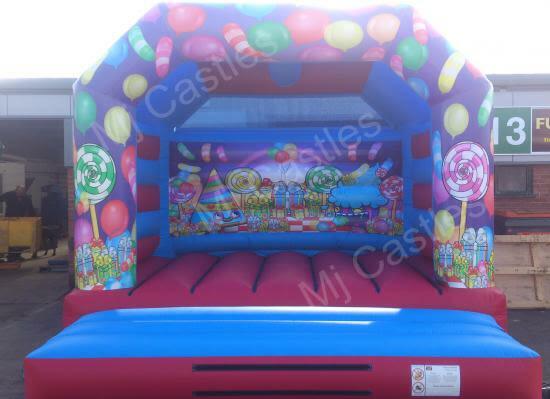 With this 15ft x 15ft castle, no one is too big or too old! We’ll take care of you and handle everything, so you can focus on just having fun. For just £55, you can take your party to the next level and give your guests something they will never forget. Add £15 and you’ve got yourself an overnight ticket for more fun! For no added costs, we’ll throw in a rain cover to keep you jumping even if the weather decides to be playful, too. The package includes all installation materials, collection equipment, and delivery. We set everything up, and take it down when you’re all finished with it! Find out more about hiring bouncy castles for your next party by browsing through our site, or dropping us a message via our Contact Us form.